Epsom salts are composed of forms of magnesium sulfate (magnesium, sulfur, and oxygen together) with up to seven water molecules attached. Epsom salt derives its name from a bitter, salty spring in Surrey, England where the salt was dried from spring water that arises from a geology of porous chalk and clay. Epsom salts have been used as natural exfoliants and in anti-inflammatory remedies used to treat sore muscles, small wounds, dry skin, and even illness. The Epsom Salt Council has a list of Epsom salt uses and a large number of these include beauty and health tips. Epsom salts are generally safe to use and the magnesium contained in the crystals can be absorbed into the body through the skin. Of course, be sure to consult with a health professional if you have any medical conditions or are pregnant. 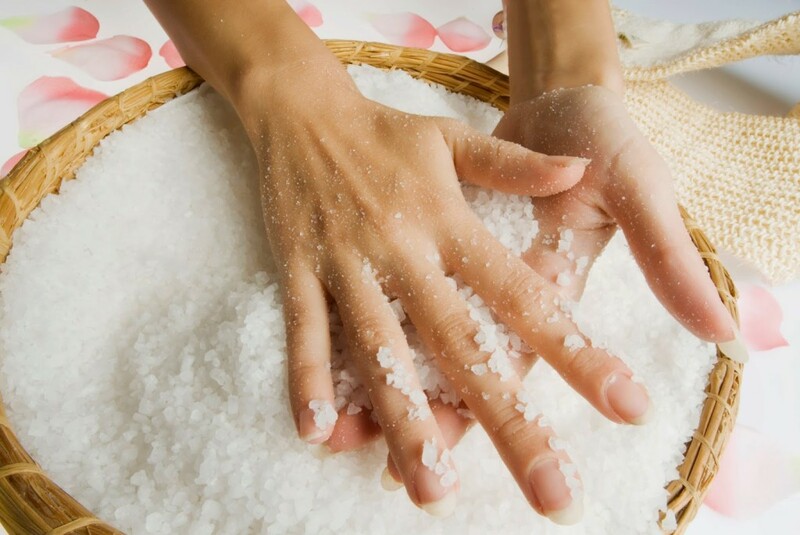 Here are some amazing Epsom salt beauty and health hacks you can use today. Does your hair ever feel oily and heavy after you use conditioner? 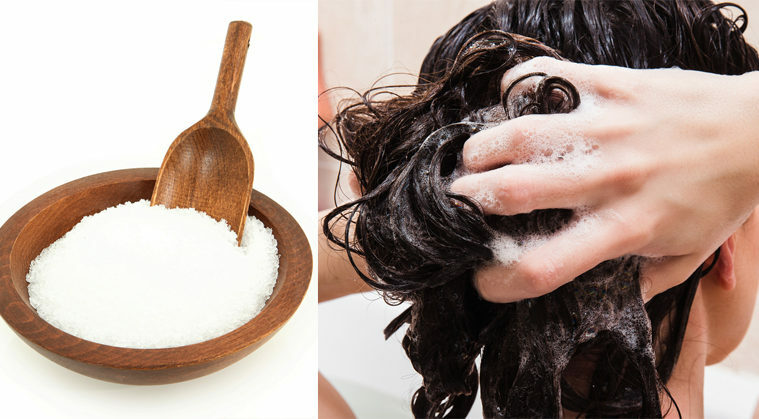 You can use Epsom salt to make a homemade volumizer that will fix that problem. Mix the conditioner and Epsom salt together in a small bowl. 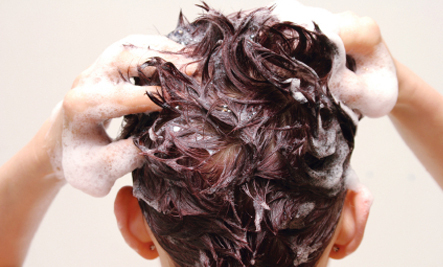 Apply the conditioner like you usually do. Leave it in for 20 minutes before rinsing. Everyone gets a sunburn at least once in a blue moon. The pain can be excruciating. However, you can use Epsom salts to reduce sunburn irritation because of its anti-inflammatory properties. Mix the water and Epsom Salt together and pour in the spray bottle. Spray water and Epsom Salt mixture on the affected area as needed. Do you struggle with constant dry lips? 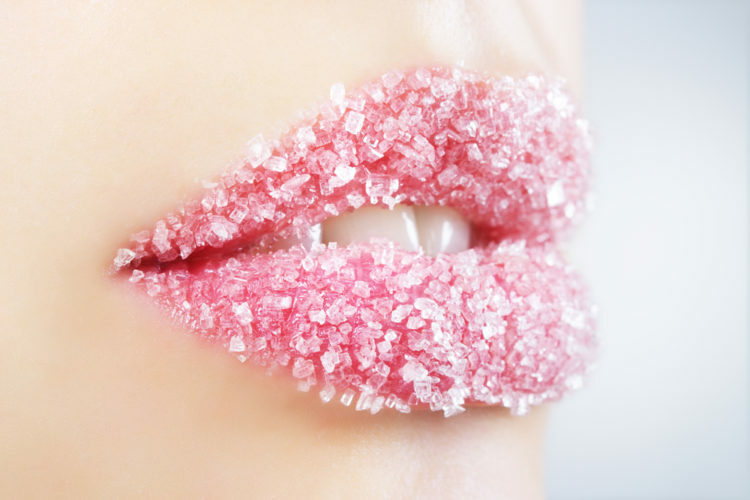 Epsom salt can be used to make your lips healthier and look fuller by removing dead and dry skin . Combine the Epsom salt and oil/butter in a small bowl. Apply the combination to your lips. Because of Epsom salt’s anti-inflammatory properties, it helps to treat bug bite irritation and infection. Mix the water and Epsom salt together in a medium sized bowl. Dip the washcloth in the solution. Epsom salt can ease sore muscles due to exercise because of its anti-inflammatory properties. Pour the hot water into a small bowl and dissolve the Epsom salt in it. Cool the solution in the freezer for 20 minutes. Clean and dry the area you wish to treat. Apply the cold mixture to where you feel sore. Epsom salt’s exfoliating properties will soften the rough and callused skin on your feet and leave them feeling spa fresh. It is also inexpensive. Mix the Epsom salt and soapy water in a container big enough to hold your feet. Pull out and dry your feet. Remove any nail polish and cut or file toenails. Soak your feet again for 5 more minutes. Remove, dry, and feel the results. You can use Epsom salt to battle minor bee sting swelling thanks to its anti-inflammatory properties. 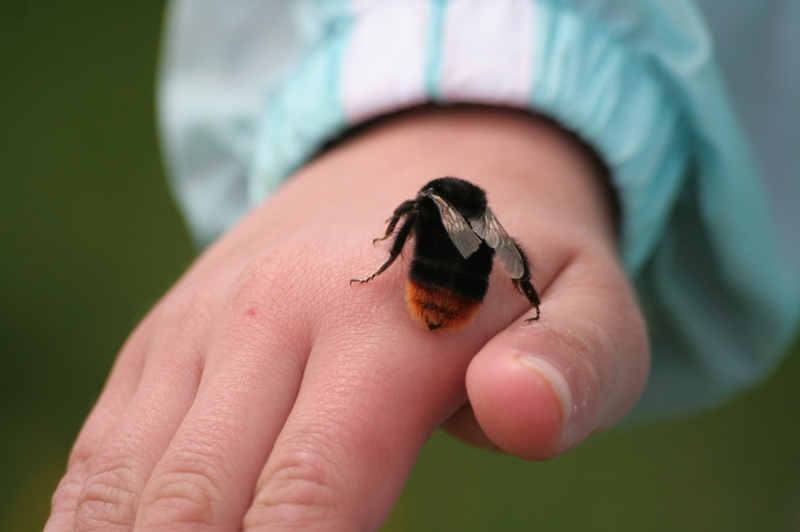 However, if you have severe swelling or trouble breathing following a bee sting, it is important to seek emergency medical attention. All minor issues can be treated with the following. Soak the cotton washcloth in the mixture. Soaking in an Epsom salt bath can help you feel rejuvenated. It will also keep your skin hydrated and healthy. Fill your tub with hot water. Pour in 2 cups of Epsom salts and let it dissolve. Repeat the process three times a week for best results. The natural exfoliating properties of Epsom salt gives a boost to any face cleanser. Mix the face cream and Epsom salt together in a small bowl. Apply to skin and rub gently. Dry and feel the results. You can make your own bath crystals from Epsom salts. They are only a fraction of the cost and better for you, too. Mix the salts and essential oils together in a medium sized bowl. Transfer mixture to a small jar. Pour these bath crystals into your bath whenever you want. 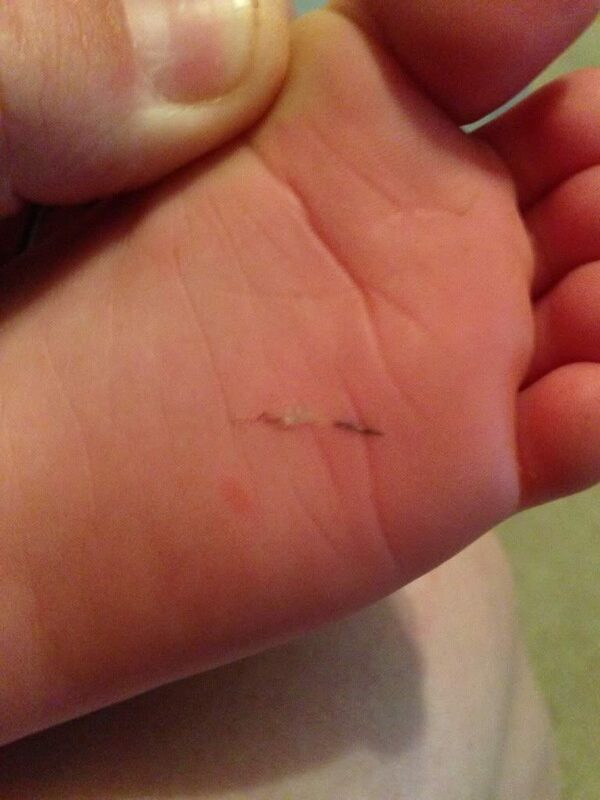 Epsom salt should be used after small splinter removal to reduce swelling and irritation. Mix together Epsom salt and cold water in the medium sized bowl. Apply washcloth to the affected area. You can gently exfoliate your skin after a shower with Epsom salts. The process is very simple and the results are the same as going to a spa. 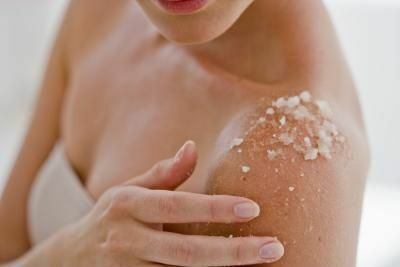 The salt’s coarse texture and nutrients help to cleanse the skin and get rid of dead skin cells. This will leave your skin silky smooth. After your shower, take handful of Epsom salt. Gently massage your wet skin with the Epsom salt. Repeat until you feel exfoliated. Rinse off and enjoy the results. Epsom salt can also be used for deep exfoliation. The following solution works well on rough or extra-dry patches of skin but should not be used on broken or irritated skin. Rub solution gently into rough or dry patches of skin. 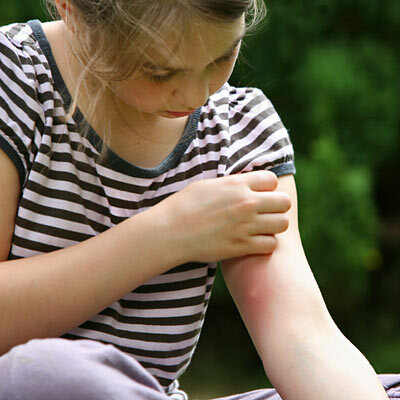 It you enjoy the outdoors, it is more than likely that you will run into some poison ivy. Literally. You can use Epsom salt to relieve any irritation or swelling that may come from poison ivy exposure. Mix Epsom salt and cold water together in a medium sized bowl. Soak the cotton washcloth in the solution. Athletes use ice baths to fight inflammation. 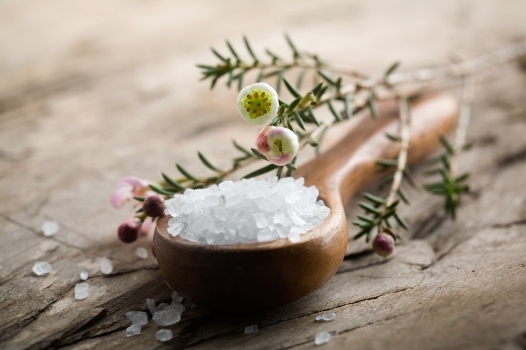 Epsom salt also has anti-inflammatory properties and can be added to an ice bath to help promote healing. Add 3-4 Cups of Epsom Salts to your ice bath. Jump in, Endure, and Enjoy the Benefits! Epsom salt soothes skin and relaxes muscle. Thus, it can contribute to a good night’s rest. Add a couple handfuls of Epsom salts to a hot bath before you go to sleep. Pour the Epsom salt into the container of warm-hot water and let it dissolve. Soak your feet for 15 to 20 minutes. Repeat daily until the foot problem is under control. 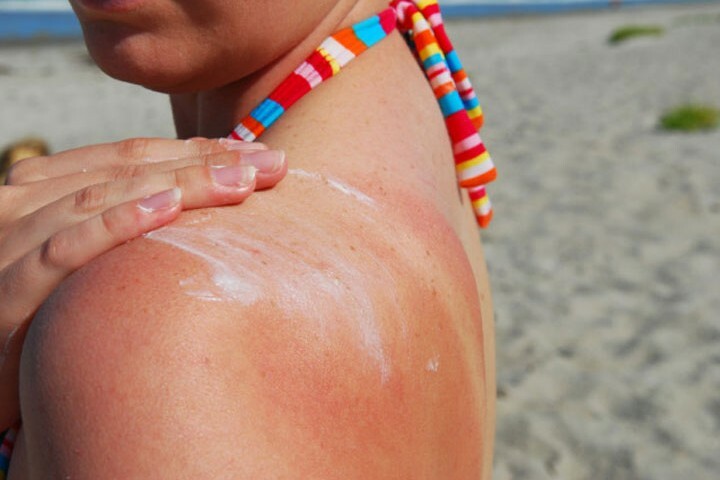 When you tan or burn, dead skin build-up can make it difficult to apply sunscreen effectively. You can use this Epsom salt exfoliation scrub to help clear away the dead skin so that sunscreen goes on smooth. Mix Epsom salt, sea salt, coffee grounds, and eucalyptus oil in a bowl. Add sesame oil until you can form a paste with the mixture. Rub into the areas of your body where you have a tan.